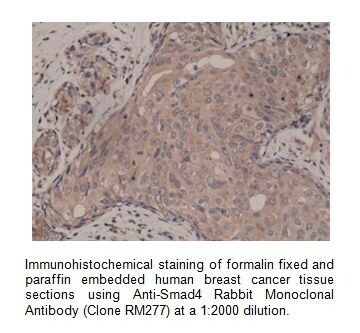 Anti-Smad4 Rabbit Monoclonal Antibody | A1605 | BioVision Inc. 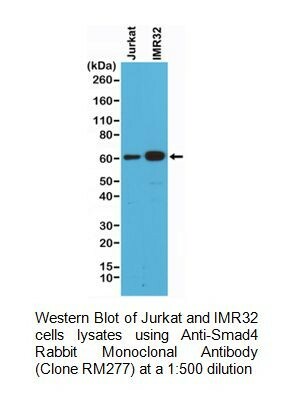 Monoclonal antibody to detect Smad4 in human samples. Smad proteins, the mammalian homologs of the Drosophila Mothers against dpp (Mad), have been implicated as downstream effectors of TGFβ/BMP signaling. 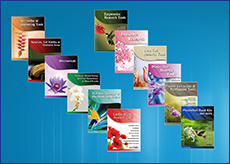 Smad1, Smad5, and Smad8 are effectors of BMP2 and BMP4 function while Smad2 and Smad3 are involved in TGF-β and activin-mediated growth modulation. Smad4 has been shown to mediate all of the above activities throμgh interaction with various Smad family members. Smad6 and Smad7 regulate the response to activin/TGFβ signaling by interfering with TGFβ-mediated phosphorylation of other Smad family members.